Non-AMOLED screens and android 4.0 with Moto X Active! We reported recently about the excellent new app available for Android devices that gives you the super-cool Active Notifications feature of the Motorola Moto X on your existing smartphone. I installed it and absolutely love it. 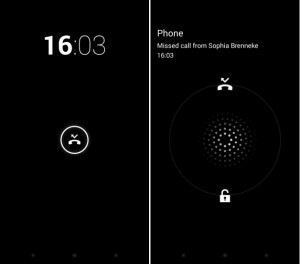 Instead of getting anonymous blinking lights on your handset when a missed call, text, social media message or email comes in, Active Notifications discreetly lights up your AMOLED screen with the time and a symbol indicating what the notification is for. The app developer has been keeping track of the comments on the Play Store and has been updating like crazy to fix bugs and add new stuff to the app – a nice rarity. What’s even better is that the app, which was originally only for devices running Android 4.3, then 4.2, is now available for Android 4.0 devices as well, and the app itself only appeared a couple of weeks ago. And best of all? You don’t even need to have an AMOLED screen to use it! 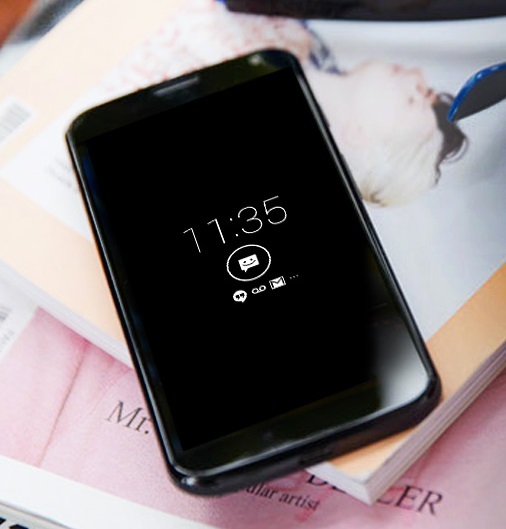 AMOLED displays can light up individual pixels, so the app is very light on the battery if you are running an AMOLED-screened device. Now better support has been integrated for LCD displays. When a notification comes in, the screen will stay lit for a while, giving you the chance to see the notification on-screen immediately. After timeout, the notification will then be visible whenever the power button is pressed, and new notifications will be added to the cue. To see what the notification is about, you simply need to touch the screen to get a preview of the message at the top of the display, without having to unlock or launch an app. If what you see is of immediate interest, you just swipe to the relevant launcher on your lock screen and Active Notifications will take you directly to the message/missed call/email within the appropriate app, cutting out several steps. You can also just swipe to unlock as normal. Any other PIN or pattern lock screens you may have are unaffected by the Active Notifications lock screen and you can select which apps you want to have notification access – just in case you get way too much spam to care about every email that comes in. The dev is working on getting the Moto X’s ”breathing” feature enabled too. There’s also a premium version which I haven’t looked at, but considering the support and improvement being displayed by the developer, it might be a worthy addition – in part to get the additional features but also to support a developer who listens to feedback and acts, very quickly.